Answer: Considering we just returned yesterday from an extended family beach vacation we kind of consider ourselves the resident experts this week. In our opinion beach reads should be light. Two years ago we made the rookie mistake of packing A Fine Balance. Good book, but we were depressed for the rest of the vacation. 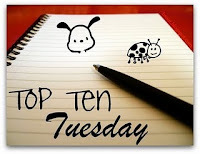 Our top 10 is below and some of these actually found their way into our beach bag this year! The Well of Lost Plots (Jasper Fforde) – You’ve got to read the first two books in the Thursday Next series before you can start this one, but this book was fantastic. Angus, Thongs and Full Frontal Snogging (Louise Rennison) – Light, mindless and full of red bottomed hilariosity. The Beach (Alex Garland) – This one is borderline heavy, but what could be better than sitting on the beach reading about the search for the perfect beach. Life of Pi (Yann Martel) – This one will make you think, but not enough to ruin your vacation. Catch-22 (Joseph Heller) – Humor should always be prioritized on a vacation and this book should do the trick. Harry Potter (J.K. Rowling) – Pretty much anywhere is a good location to read this series, the beach included. Peter Pan (J.M. Barrie) – It’s sooo easy to get lost in this magical world, especially with grains of sand beneath your toes. The Notebook (Nicholas Sparks) – Okay, we’re not huge Nicholas Sparks fans, but if there’s ever an appropriate setting, the beach is it. Sushi for Beginners (Marian Keyes) – Actually, any Marian Keyes will do – this is the first one that came to mind. I have had Angus, Thongs and Full Frontal Snogging on my TBR list for a while. It looks like such a fun read. I am going to have to read it this summer. I just picked up a copy of Catch-22 at a garage sale this weekend. For some reason, I've always been intimidated by it. Maybe I'm afraid I won't get the humor. It's good to know it's light enough for the beach, so I may be starting it sooner than I thought! Life if Pi is also on my TR list. Great choices! Oh my gosh! I love the Confessions of Georgia Nicolson books. Confession, I got half way through Catch 22 and gave up. I could understand why people find it funny but it just didn't appeal to me. The Jasper Fforde books is a fantastic choice. I also loved The Beach. I've been meaning to try E. M. Forester but haven't been able to decide which one. You've just made my decision for me, thanks. I've always wanted to read A Room with a View. I've seen The Beach on other lists too, it must be good. Very nice list. I bet you two had a lot of fun making this list up! Here's my list of books I plan to put in my beach bag this summer. I've seen Jasper Fforde on several lists (including mine), and I'm LOVING it! The Well of Lost Plots is my favorite in the series, actually. Peter Pan is a good book, but it makes me sad. If I have to take a Pan-themed book on vacation, it would have to be Dave Barry's Peter and the Starcatchers series. Did you enjoy your vacation? Post pictures, so we can live vicariously through you! :D Happy reading! "Full Frontal Snogging" might get a lot of looks from beachgoers, depending on where you are! Love your list. I've read most of them. I read Catch-22 in high school and loved it. It was sooo funny! I really need to read it again. I put Jane Green and Jennifer Weiner on my list, but Marian Keyes is a good one too when it comes to chick lit, which for me is the ideal beach read. Glad to see both The Well of Lost Plots and The Life of Pi on this list- I loved both!